Analysis: Baker played most of his snaps as a strong safety and slot cornerback in 2018, allowing him to pile up 102 tackles (78 solo) and two sacks in 14 games. He expects to have more interception chances playing further away from the line of scrimmage, but his role change could leave fellow safety D.J. Swearinger as the more reliable IDP option in the Arizona secondary. Baker compiled 102 tackles (78 solo), two sacks, two fumble recoveries (one for a touchdown) and one forced fumble in 14 games during the 2018 season. Analysis: Since locking down a starting role at strong safety in Week 11 of his rookie year in 2017, Baker has averaged 7.4 tackles per game across his 20 starts, which translates to a shade over 118 for a 16-game slate. The preceding includes sitting out Weeks 11 and 12 of this season with a knee injury and being listed on Cardinals practice reports for the final five weeks. With renewed health in 2019, Baker again will be an IDP consideration in most formats. Baker (knee) is active for Sunday's contest against the Falcons, Darren Urban of AZCardinals.com reports. Analysis: Baker returned to practice in a limited fashion Thursday and Friday after failing to participate Wednesday, so he'll be healthy enough to start at strong safety next to Antoine Bethea. Baker (knee) is listed as questionable for Sunday's matchup with the Falcons, Darren Urban of the Cardinals' official site reports. Analysis: Baker was unable to practice Wednesday but managed to practice in a limited capacity Thursday and Friday. The Washington product was able to play through the injury last week en route to four tackles (solo), a forced fumble and a fumble recovery over 47 defensive snaps. If Baker isn't able to suit up, Rudy Ford would be next in line for work in the secondary. Baker (knee) is active for Sunday's contest against the Lions, Darren Urban of the Cardinals' official site reports. 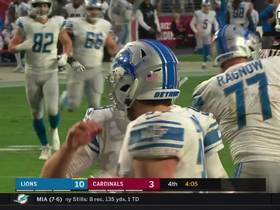 Analysis: According to Josh Weinfuss of ESPN.com, Baker completed a pregame warmup, after which he must have gained clearance from the Cardinals' training staff in order to play. While he put in just one limited practice during Week 14 prep, Baker shouldn't have a problem earning snaps in a secondary that regularly uses five (or more) defensive backs. On the season, he's averaged eight tackles per game while tallying one defensive touchdown. Baker (knee) is listed as questionable for Sunday's game against the Lions, Darren Urban of the Cardinals' official site reports. Analysis: Baker has been impacted by lower-body injuries for approximately one month. A knee issue kept him on the sideline Weeks 11 and 12, but he returned to action this past weekend in Green Bay, playing 68 of 76 defensive snaps en route to collecting five tackles. Urban speculated that Baker will be a game-time call this weekend, so the safety's status will be one to watch until the Cardinals are required to post inactives about 90 minutes before Sunday's 4:25 p.m. EST kickoff. Baker (knee) did not practice Wednesday, Darren Urban of the Cardinals' official site reports. Analysis: Baker was able to play through his lingering knee injury during Sunday's win over the Packers, but his Week 14 status nonetheless appears to be in question. The second-year safety will likely need to fully participate in practice on Thursday or Friday in order to suit up against the Lions on Sunday. Baker (knee) is active for Sunday's game against the Packers, Darren Urban of the Cardinals' official site reports. Analysis: Baker was held out last week due to his knee injury and was questionable entering Sunday's game despite being a full participant at practice Friday. He'll figure to resume his role as a starting safety alongside Antoine Bethea. Baker (knee) is listed as questionable for Sunday's matchup with the Packers, Darren Urban of the Cardinals' official site reports. Analysis: Baker practiced in a limited capacity Wednesday and Thursday and was able to end the week with a full practice Friday. The upward trend in his status bodes well for Baker's chances of playing Sunday. If the second-year-pro doesn't take the field, however, Rudy Ford (heel) would likely see an increase in snaps. Baker (knee) was a limited participant at Thursday's practice, Darren Urban of the Cardinals' official site reports. Analysis: Baker managed a pair of limited practices last week before sitting out Sunday's 45-10 loss to the Chargers. 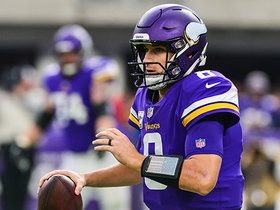 As such, his limited participation Wednesday and Thursday doesn't provide a strong hint that he'll be available for this weekend's game against the Packers. If he gains clearance to play, Baker would represent an elite IDP option out of the secondary after piling up 75 tackles and two sacks through his first nine appearances of 2018. Baker (knee) practiced on a limited basis Wednesday, Darren Urban of the Cardinals' official site reports. Analysis: Baker also was listed as a limited participant last Thursday and Friday before missing his second game in a row in the Week 12 loss to the Chargers. 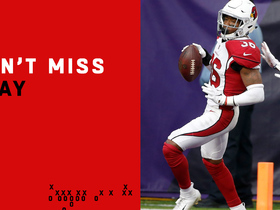 On Monday, coach Steve Wilks expressed optimism regarding Baker's ability to play this weekend at Green Bay, telling Josh Weinfuss of ESPN.com that he's "very hopeful" the safety can return. Baker has two more practices to prove the health of his knee. Coach Steve Wilks said he's "very hopeful" that Baker (knee) will suit up for Sunday's game against the Packers, Josh Weinfuss of ESPN.com reports. Analysis: Baker has missed two consecutive games due to a lingering knee issue, but he appears to be nearing a return to health. The second-year safety may need to fully return to practice before retaking the field, so his participation in this week's drills will be worth monitoring. If Baker is able to suit up in Week 13 against the Packers, he'll draw the start at strong safety. Baker (knee) has been ruled out for Sunday's game against the Chargers, Darren Urban of the Cardinals' official site reports. Analysis: Baker made it through pregame warmups before the Cardinals ultimately made the decision to keep him sidelined for a second consecutive week. Baker's absence allows cornerback Chris Jones to become active for the first time this season. Baker (knee) is listed as questionable for Sunday's game against the Chargers, Darren Urban of the Cardinals' official site reports. Analysis: Baker missed last week's loss to the Raiders due to a knee injury and still appears to be managing his recovery. The second-year safety was able to practice in a limited fashion Thursday and Friday after having sat out to begin the week. It remains to be seen whether Baker will be cleared for Sunday's tilt against the Chargers, but his presence would be a huge boost to Arizona's secondary as they attempt to contain the Philip RIvers-led offense. Baker (knee) was limited at Thursday's practice, Darren Urban of the Cardinals' official site reports. Analysis: After sitting out Week 11 due to the knee injury, Baker followed Wednesday's absence with some activity Thursday. 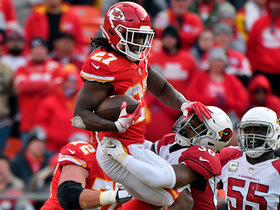 It's unclear if he must progress to an uncapped practice to play Sunday versus the Chargers, but his presence would be welcome as the Cardinals' second-leading tackler with 75. Analysis: Baker sat out Arizona's loss to the Raiders in Week 11 due to an undisclosed knee injury and does not appear to be nearing a return to full health. The IDP standout's chances of suiting up Week 12 are murky at best, so his participation in practice Thursday and Friday warrants close monitoring. If Baker is unable to suit up Sunday, the Cardinals' secondary could face a serious challenge in containing the Philip Rivers-led Chargers' air attack. Baker (knee) has been ruled out for Sunday's game against the Raiders, Darren Urban of the Cardinals' official site reports. Analysis: Baker's knee issue first surfaced this week and prevented him from practicing in any fashion Wednesday through Friday. Though coach Steve Wilks expressed optimism the safety wouldn't have to miss time due to the injury, Baker ultimately wasn't able to progress as anticipated. With the IDP standout sidelined for the first time all season, Tre Boston and Rudy Ford (heel) could see increased snaps alongside starting safety Antoine Bethea. Baker (knee) was listed as a non-participant in Thursday's practice. Baker was held out of practice Wednesday due to a knee injury, Darren Urban of the Cardinals' official site reports. "I think Budda will be fine," coach Steve Wilks told Kyle Odegard of the team's official site. "We don't know exactly how long it's going to be. A guy like that, you're going to miss him being out there on the field if he doesn't play, because he just brings so much in every category." 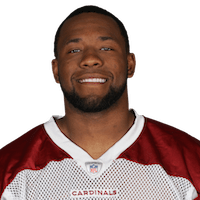 Coach Steve Wilks said that Baker (undisclosed) is receiving an MRI on Monday, Darren Urban of the Cardinals' official site reports. Analysis: The reason for Baker's MRI remains unknown, but it's worth noting that the second-year safety was limited throughout practice last week due to a foot injury. Until the nature and severity of Baker's concern are revealed, his status for Week 11 against the Raiders will be difficult to peg. Baker (foot) is active for Sunday's game at Kansas City, Darren Urban of the Cardinals' official site reports. Analysis: With a sudden appearance on the injury report Thursday, Baker spurred worries that the first DNP of his career was possible. That said, he reappeared Friday with a limited session, setting himself up to resume his first full season as a starter. With 72 tackles, including two sacks, and a fumble recovery for a touchdown in eight games, Baker is a must-start IDP on a weekly basis. Baker (foot) is listed as questionable for Sunday's game in Kansas City, Darren Urban of the Cardinals' official site reports. Analysis: Baker was listed as a non-participant on Thursday's injury report, only to log a limited practice Friday. A foot issue is to blame, threatening the availability of the Cardinals' leading tackler. Baker didn't practice Thursday due to a foot injury, Josh Weinfuss of ESPN.com reports. Analysis: Baker has yet to miss a game in his one-plus seasons as a pro, but that streak could be threatened due to his sudden appearance on the injury report. Friday's report will impart whether Baker was merely given a day off to rest, or if the foot issue is serious enough to impact his availability heading into the weekend. Baker recorded eight tackles (five solo) in Thursday's 45-10 loss to the Broncos. Analysis: Baker fell just short of his season average for tackles and played all but one defensive snap Thursday. The 22-year-old leads the Cardinals with 67 tackles (50 solo) and has 1.5 sacks so far this season. Baker recorded nine tackles (all solo) and recovered a fumble for a touchdown in Sunday's loss to Minnesota. Analysis: Baker has been a solid player for the Cardinals week in and week out. His nine tackles are par for the course for him this season. 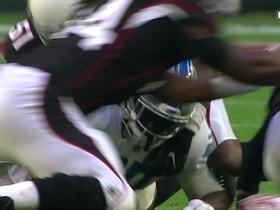 He made a heads-up play on a Chandler Jones strip-sack, scooping the ball up and taking it in for a Cardinals touchdown in the first half. Arizona hosts the Broncos on Thursday, and Baker will look to come out strong once again despite the short week. 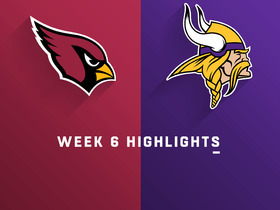 Baker (shoulder) doesn't have an injury designation for Sunday's game at Minnesota, Darren Urban of the Cardinals' official site reports. Analysis: After being listed as limited on the first two injury reports of the week, Baker progressed to full participation at Friday's practice. With his health checking out, he'll look to post double-digit tackles for the fourth time in six games to kick off his second pro campaign. Baker (shoulder) was limited in practice Thursday, Darren Urban of the Cardinals' official site reports. Analysis: The Cardinals are merely managing the practice reps of their leading tackler this week. With 48 stops on the season, Baker currently ranks fourth in the NFL, and first among defensive backs by five (fellow Arizona safety Antoine Bethea has 43). Assuming he's available Sunday at Minnesota, Baker has become an elite IDP by the midpoint of his second NFL campaign. Baker recorded 16 tackles (11 solo), including a sack, and a pass defensed in Sunday's win over the 49ers. Analysis: Baker has been a tackle machine through five weeks this season, posting double-digit stops in three games and averaging almost 10 per outing. 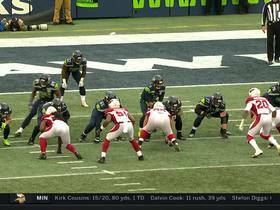 His pass defensed Sunday was his first of the season and his sack gives him 1.5 on the year. He had 74 tackles in 16 games as a rookie in 2017, and he appears well on his way to besting that mark by a wide margin in 2018. Baker posted 10 tackles (eight solo), including 0.5 sacks, in Sunday's loss to Chicago. Analysis: Baker has been a top defender for Arizona, as showcased by his high tackle numbers from the safety position. The defense held the Bears to just 16 points, but the team couldn't manage a victory. 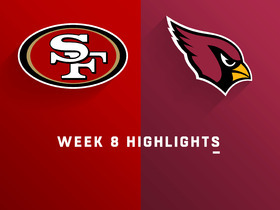 Baker and the Cardinals will aim to get into the win column against the Seahawks in Week 4. Baker (ankle) doesn't have a designation for Sunday's road game versus the Rams, Darren Urban of the Cardinals' official site reports. Analysis: Baker appeared on the first two injury reports as a non-participant due to an ankle injury, but he was able to tough it out and handle every practice rep Friday. After an 11-tackle showing Sunday against the Redskins, he boasts 7.6 tackles per game in his eight-game run as a starter stemming back to last season, making him a prime IDP candidate. Baker (ankle) was a limited practice participant Thursday, Darren Urban of the Cardinals' official site reports. Analysis: Baker has opened Week 2 preparations with a cap on his reps in back-to-back sessions. Since entering the starting lineup Week 11 of last season, the strong safety has posted a whopping 61 tackles in eight contests, which equates to 7.6 stops per outing. As such, his status will be one to watch for IDP purposes in advance of Sunday's road game against the Rams. Baker tallied 11 tackles (eight solo) in a Week 1 loss to the Redskins. Analysis: Baker was impressive in his rookie campaign a year ago and picked up right where he left off. The 22-year-old safety has yet to snag an interception in 17 career games, but he's been a rangy safety who's been able to rack up tackles. Look for him to be a key player on the Cardinals' defense next week against the Rams. Baker accrued 74 tackles (58 solo), two forced fumbles, one fumble recovery and one sack in 16 games during the 2017 season. Baker recorded 13 tackles (eight solo) and one pass defensed in Sunday's win over the Giants. Analysis: Baker tied a game-high in tackles Sunday, as the rookie logged a season-high 72 defensive snaps in the contest. Although he was a integral part of the Cardinals' defense Sunday, it is his special team skills that got Baker elected to the Pro Bowl earlier in the week. He is still poised to see a healthy dose of defensive reps in Sunday's season-finale against the Seahawks. Baker (thigh) won't carry an injury designation into Sunday's game against the Redskins, Darren Urban of the Cardinals' official site reports. Analysis: Baker was a full participant at Friday's practice to help avoid the questionable designation. The rookie second-round pick is in-line to make his fifth consecutive start for the Cardinals on Sunday. Baker (thigh) turned in a limited practice Thursday, Darren Urban of the Cardinals' official site reports. Analysis: Baker has been eased into Week 15 prep due to a thigh injury, which sidelined him from the entirety of Wednesday's session. Now on a plausible road to active status Sunday at Washington, the rookie will look to uphold his standard from four consecutive starts in which he accrued 33 tackles (27 solo), two forced fumbles, one fumble recovery and one interception. Baker didn't practice Wednesday due to a thigh injury. Analysis: Since taking over as the starting strong safety in Week 11 for Tyvon Branch (torn ACL), Baker has been a force, racking up 33 tackles (27 solo), two forced fumbles, one fumble recovery and one interception in four games. With a thigh injury in tow, Baker's health is now one to monitor as the weekend approaches. Baker recorded a team-high nine tackles (eight solo) in Sunday's loss to the Rams. Analysis: Baker has now logged at least nine tackles in three of his last four games, as the rookie safety out of Washington continues to excel since taking on a starting role in the secondary. Baker also played all 58 of the team's defensive snaps Sunday, so opportunities should continue to present themselves to the young defensive back. Baker totaled 13 tackles (11 solo), including 2.5 for a loss and one sack, two passes defended, two forced fumbles and a fumble recovery during Sunday's 31-21 loss at Houston. Baker totaled nine tackles (eight solo) and one pass defended during Thursday's 22-16 defeat to the Seahawks. Baker (ankle) was a full participant at Thursday's walk-through. Analysis: Baker was limited Monday, but his return to a full workload Tuesday indicates he is on track to play Thursday against the Seahawks. He figures to continue providing depth in the secondary barring any setbacks. 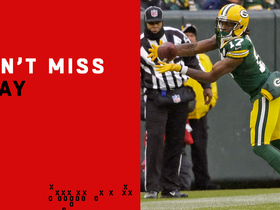 Green Bay Packers quarterback Aaron Rodgers finds wide receiver Davante Adams for a 19-yard gain on an incredible toe-tap catch against the Arizona Cardinals in Week 13 of the 2018 season. Arizona Cardinals defensive tackle Corey Peters swats Minnesota Vikings quarterback Kirk Cousins pass back to him for a reception. 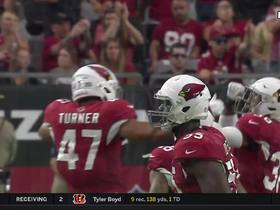 Minnesota Vikings quarterback Kirk Cousins fumbles the ball and Arizona Cardinals safety Budda Baker takes it to the house for a 36-yard touchdown.